Macaroons slowly eased their way into the US, and are now the latest food obsession. These mini melt in your mouth delectables are perfect for valentines, birthdays, and even mid-afternoon snacks! 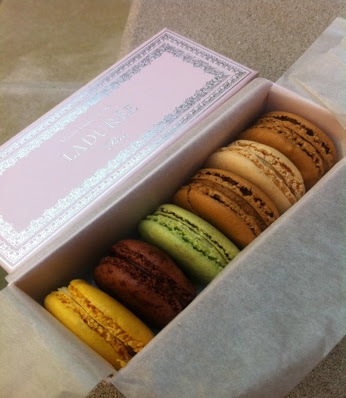 When it comes to macaroons, Laduree is the place to go, and I was more than excited to stumble upon a Laduree boutique in Upper East Side New York. Everything was exquisite~ from the décor and service, to the delicate rows of pastel pastries! The macaroons were baked till perfection, with a smooth fragile shell, soft gooey body, and rich chocolaty filling. 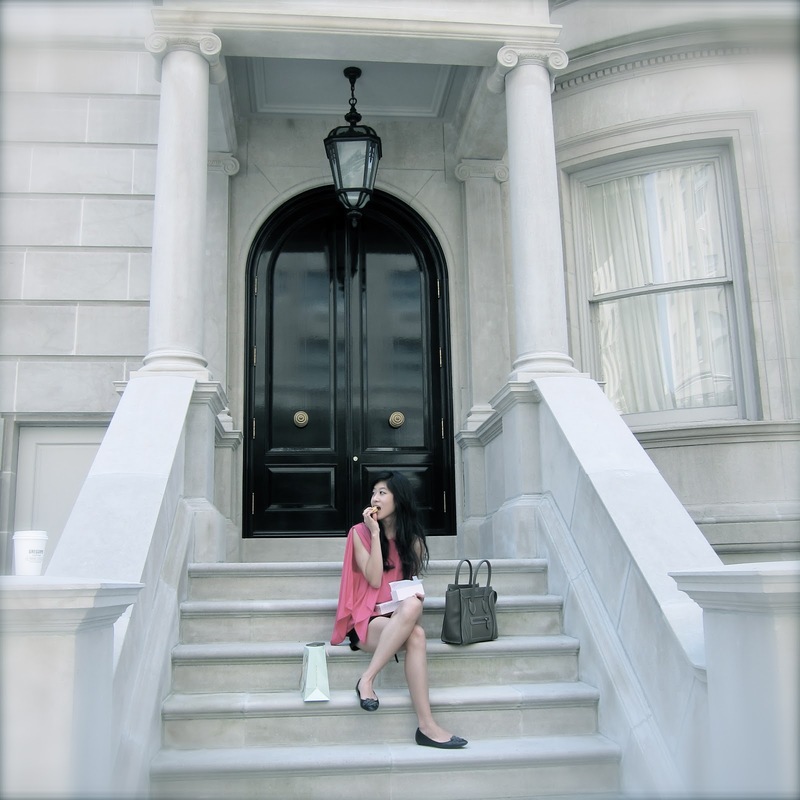 Feeling quite elegant in Blair Waldorf sort of way, I bought myself a box of macaroons, sat down, and quietly enjoyed my dainty dessert in the heart of Manhattan.